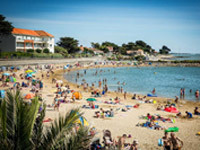 Discover the island of Noirmoutier, also known as the mimosa island, and visit its 40 kilometres of beaches and salt marshes! 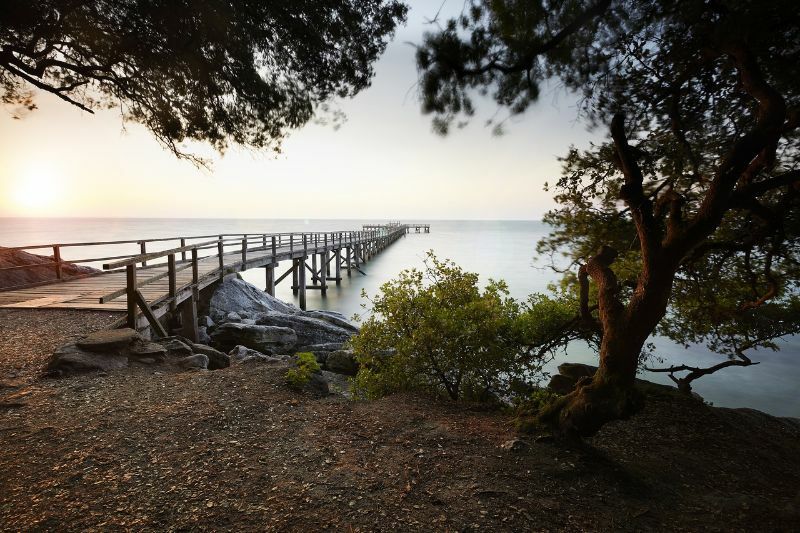 This vast natural and cultural area will open its arms to you, with charming ports full of fishing vessels and colourful pleasure boats. 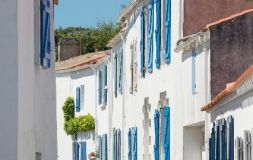 During your visit, you can enjoy a timeless, peaceful world just 45 minutes from the campsite across Le Passage du Gois. 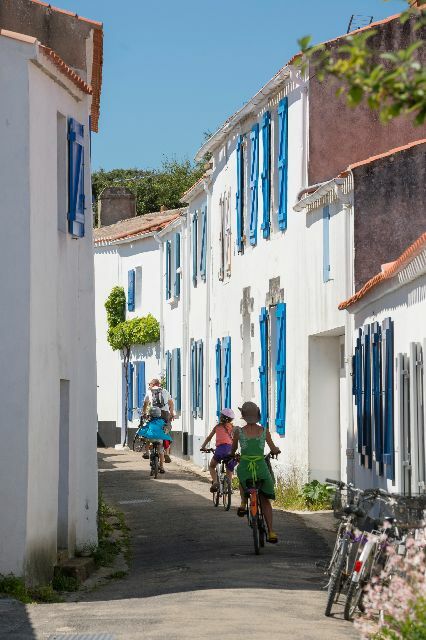 The Passage du Gois is a curiosity you will see before arriving at the island of Noirmoutier. Although the majestic bridge is permanently accessible, the Gois Passage is a road built on a submersible route. 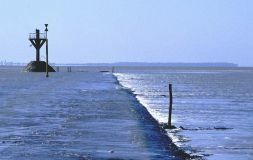 When you arrive at the island, the tide times are shown - the Passage du Gois can only be crossed at low tide. 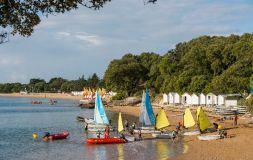 This is a great experience to enjoy, giving access to Noirmoutier by the sea! 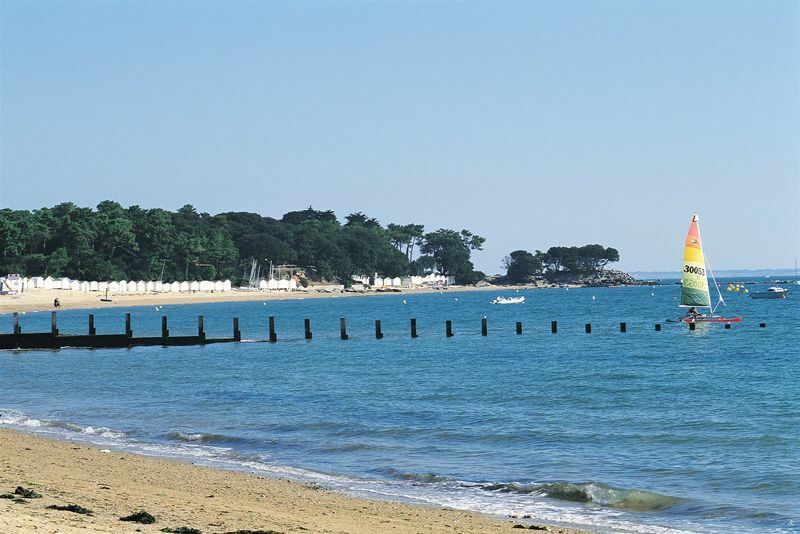 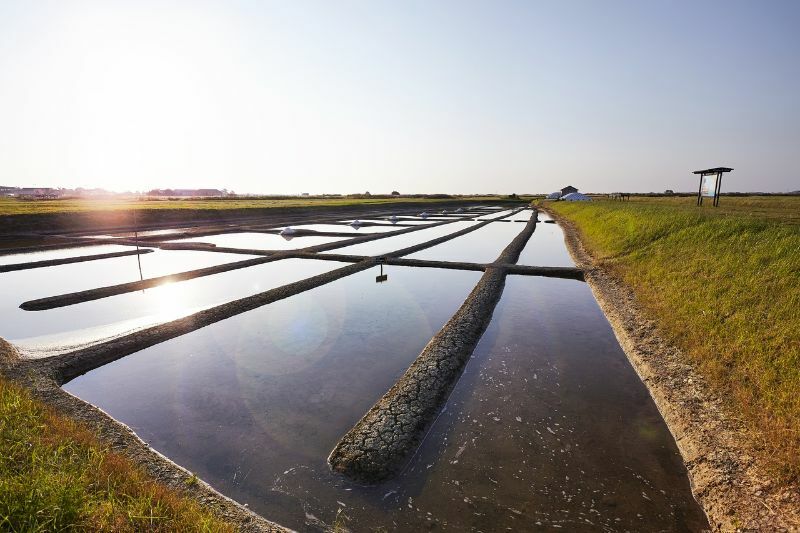 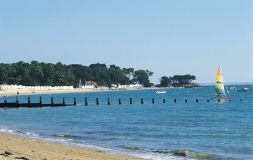 The beaches of the Island of Noirmoutier are ideal for gathering shellfish. 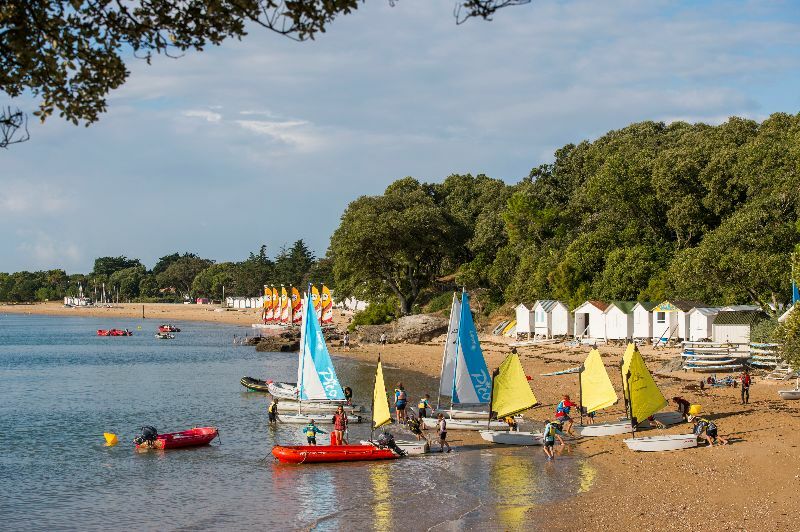 Children and adults alike love this activity, particularly at high tide in summer. 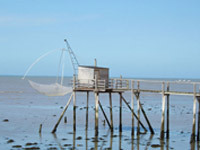 Come and look for clams on the Passage du Gois! 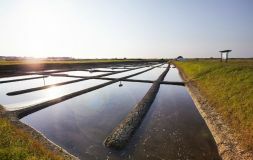 While taking care to respect the safety and fishing regulations, you can eat them and enjoy outstanding fresh flavours. 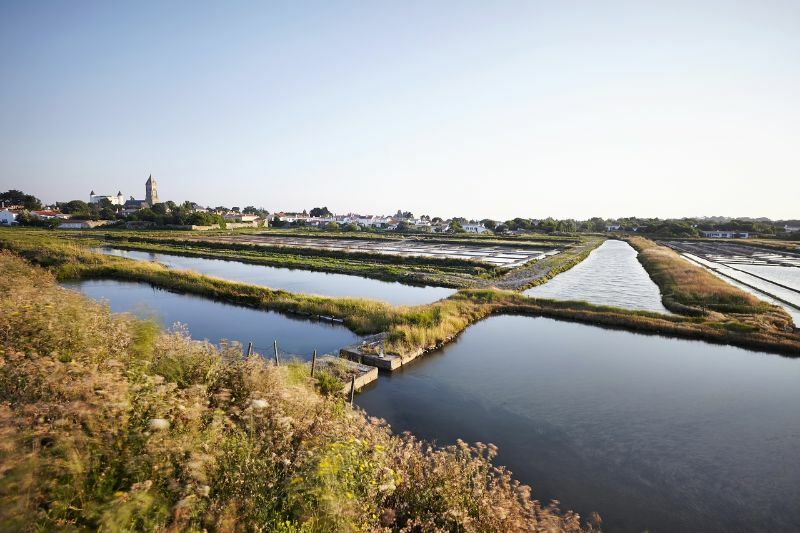 At the heart of Noirmoutier, discover a colourful site that is officially the largest tropical butterfly greenhouse in France. 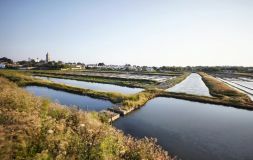 In an exotic atmosphere, discover many different specimens of butterfly from their birth in the incubator and see them fluttering their colourful wings from plant to plant. This is a magical visit that will delight children and adults alike.